Looking around Laurier’s Waterloo campus, one thing is clear: there are students everywhere — and the university is quite aware of this. “We know we are maxed out on space on the Waterloo campus overall,” said David McMurray, vice president of student affairs at Laurier. The more pressing concern is not so much the influx of students, but the availability of study space for these students. While McMurray believes that the need for study space is a good thing, because students are asking for more space to study and pursue their academics, it is a priority for the university. Gary Nower, assistant vice president: physical resources, also expressed concerns over the lack of space available. “I think there is shortage of study space on the Waterloo campus,” he stated. Nower also explained student behaviour regarding study space at night. One of the plans in motion to solve this issue is the Global Innovation Exchange (GIE), which will house the business, economics and math faculties after its expected completion in 2014. The building is replacing the St. Michael’s campus, which served as additional space for lectures and tutorials, but was demolished last fall. While the GIE features the three listed faculties, it will also serve as a re-vamped study and hang out place for the rest of the Laurier community. “There is lots student space for people to hang out, study, meet in teams and in groups and just casually hang out … [we will] see that theme has been carried out through the whole building, so there is places for undergraduates, for graduate students to work together collaboratively or alone,” continued Nower. McMurray listed various spaces available for studying, including common areas such as the 2-4 Lounge, Concourse and Terrace. While the recent dining hall renovations have caused some controversy among students, due in fact that the “infamous wall” – as mentioned by McMurray – limits the number of students who can access the hall for purely academic reasons. 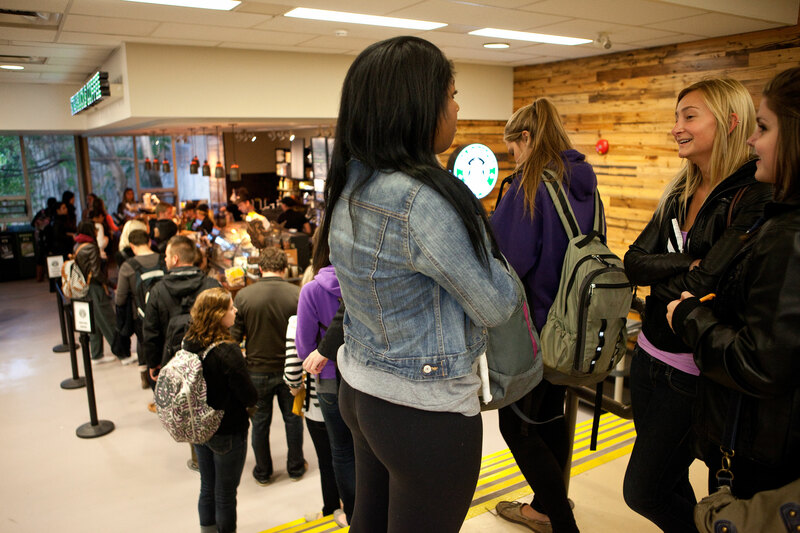 McMurray expressed that a lot of students said that the dining hall was not a favoured study space. “Returning students responded that they’ve taken study space away [and] what we are going to do, despite the fact that it hasn’t be full, we want to make sure that its accessible for study,” he added. Those plans include a divider that will section off the food part of the dining hall after hours and open up the remainder of the seats for studying purposes. Although the university staff is positive about the study space solutions, students are still concerned about it. Patrick Donnelly, a fourth-year business student, agreed. “We need to utilize space that isn’t being used.” Donnelly mentioned the idea of the Turret being turned into a temporary study area when it is not hosting its array of events. McMurray added that utilizing the turret was a good idea for students. “I think it might be then, a question for the Students’ Union, to think about, ‘is that an idea [for] during high peak study demand times,’” he added. “They’re not really catering to the general study body,” expressed Wilkinson. Other solutions for the limited study space can be found on campus, said McMurray, students just have to look for it. “When a classroom is empty and the door is open, you can go and sit down and study if you want,” he said. He also listed other spots on campus, like the Hawk lounge in the Athletic Complex, or the empty computer labs scattered in numerous buildings. “It would be interesting to get a real feel from students about how personally aware they are of all these multiple spaces,” McMurray continued. To follow up on that idea, he purposed that the university take an inventory of all the study spaces on campus and make the results public to the students, as well as a survey from the student population, to find out their opinions on the issue. Author: Katelyn Cullum4th year, History with English minor, 2nd year with The Cord. After realizing her love for writing, Katelyn joined The Cord last January as a volunteer. In her application, Katelyn checked almost every section write in (unfortunately sports didn’t make the checklist, sorry Shelby) and was put in News. A blessing in disguise one might say, as Katelyn quickly fell into the reporter role and has enjoyed every minute of it. It is true that there is an increase of traffic around the study space. But, I loled at the picture because it shows that the Starbucks is ‘maxed’ out.